As many people know, one of the most important dates on the cannabis calendar is the 20th of April. Which is commonly referred to as 420. People will light a spiff, smoke a blunt, have vape or take a dab at 420. You might ask what is this 420 all about? The story says that the term was first used in 1971, by a group of five San Rafael High School friends known as the Waldos – by virtue of their chosen hang-out spot, a wall outside the school. Given this was in America, they say their dates differently, we say 20/4 and they say 4/20. The term was shorthand for the time of day the group would meet. Due to legalities they developed their own discreet language, they made 420 code, for a time to get high. The term spread among members of an entire generation. Followed by a chain of events that led to groups meeting to smoke on 4/20 at 4:20 on college campuses across the USA. Now 40 years later, major cities and towns celebrate this date by smoking and getting together. 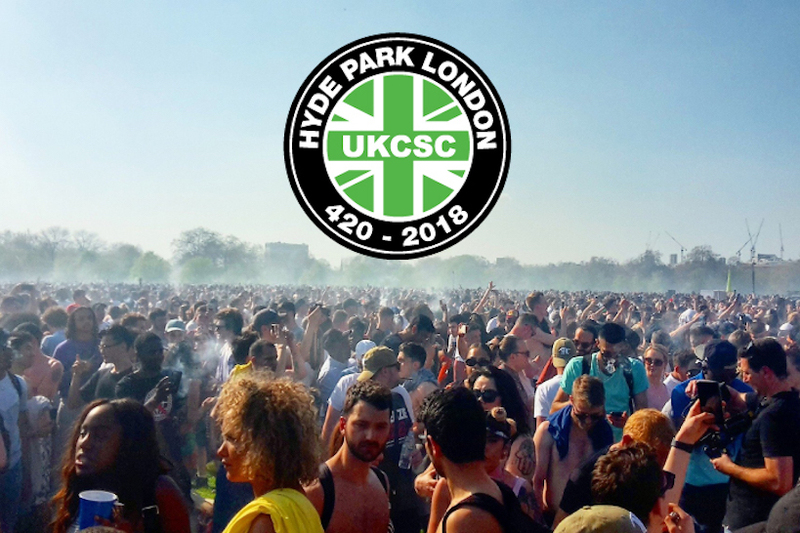 In the UK the biggest, most well known and probably longest running event is in Hyde Park. Where there is literally a cloud of smoke above the event all day. There will be events in Durham, Swansea, Leeds and Manchester to name but a few. This year I have been invited to speak at Durham 420. Which given the line up, is a great personal honour for me. If you can, why not come along not only to meet me, but to enjoy the unique atmosphere and meet other great guests and like minded people. 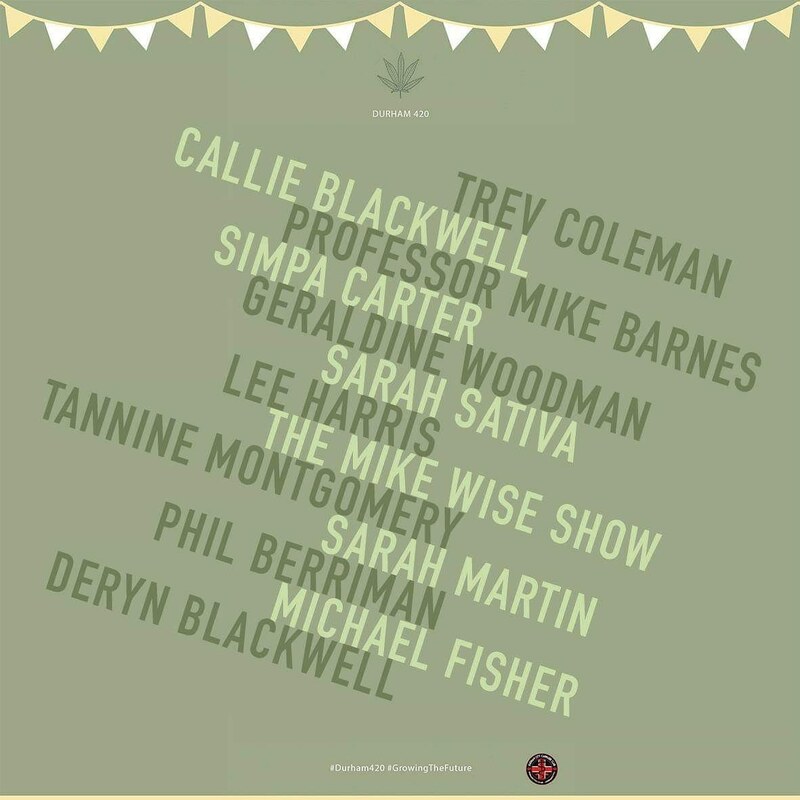 This great event has been organised by Simpa Carta from Durham Cannabis Club and Kerri Simpson from Medical Cannabis Advice UK and it’s set to be a great day for all who attend. I’m most looking forward to hearing Deryn Blackwell speak. Given it seems he is only here and alive due to his mother, Callie Blackwell giving him cannabis oil. That Deryn is still here to tell his story, warms my heart. Stories like his and many others are a major reason why I do what I do. This event has anything you can imagine and more, related to cannabis and hemp. Durham 420 offers a perfect blend of education through speakers, entertainment, relaxation and even stalls. Durham Cannabis Club are looking for sponsors and stall holders. If your’e interested please contact the team on one of the links below. 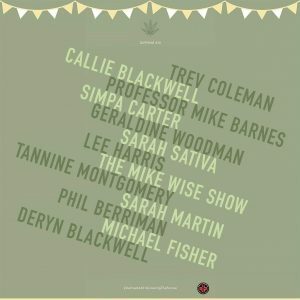 Please feel free to watch this great video about 420 Durham’s up and coming event. I will be going live from my Facebook page and I will do my best to record my hero of the event, Deryn.